Experiencing hair loss? – we provide the answer to a full head of hair! Yes, its true – there is a way to have a full head of natural hair without having to spend huge amounts of money, go under the knife or start working through different remedies.. What we specialise in is the non-surgical answer to your hair loss worries – hair replacement systems. Hair replacement systems are used all over the world and as one of the leading specialists in the UK we have helped hundreds of clients over the last 25 years (yes, we have 25 years experience!) regain a full head of natural looking hair – any hair style that you wish. Our salon is based in Wolverhampton, West Midlands and are therefore easy to travel to from anywhere in the UK – we also have parking available and are only a 5 min walk from the main bus depot and train station. Find out more and ask any questions. Hair system fitted providing a full head of hair! The answer to male hair loss is hair replacement – no surgery and no risk. Just check out our video below, we are sure you’ll be impressed. You may be experiencing thinning hair, pattern baldness or full head hair loss – hair replacement systems for men are used to solve this and give a natural full head. In its basic form hair replacement systems are full breathable skin-like membranes that have hair attached which is then fitted to your area of baldness and integrated with any existing hair. The final result is hair that look natural, is undetectable and also feels like a full head of your own hair. You can also swim, shower and play sport the same as you always would – except you feel and look great with your new hair style! Great results – suitable for all hair loss. We provide custom, cut and styled ladies wigs and systems. If you are experiencing hair loss then the final look and finish is important, we ensure it looks natural and suits you. We have wigs and systems to fit any budget – from synthetic to custom made human hair. We can provide a wig for any reason – from a fashion wig so that you can easily have a different style to a custom wig for hair loss due to medical reasons or following chemotherapy. 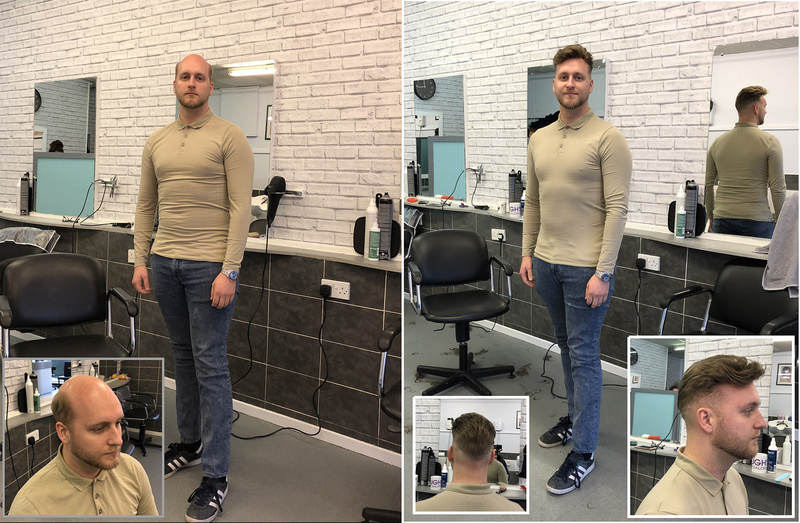 What we do offer is something more than an ‘out of the box’ service – we are able to cut and style each wig – this enables you to have the exact hair style that you wish – for the length to the shade of colour. We also provide complete bespoke made to measure ladies wigs where we take exact measurements to make the base to your requirments. Ladies hair systems and wigs for all types of hair loss. Professionally cut and styled wigs.